There is a shining pylon, above which is set the sigil of the eye, within the shining triangle. Light streams through the pylon from before the face of Isis-Hathor, for she weareth the lunar crown of cows' horns, with the disk in the centre; at her breast she beareth the child Horus**2**. And there is a voice: thou knowest not how the Seven was united with the Four; much less then canst thou understand the marriage of the Eight and the Three. Yet there is a word wherein these are made one**3**, and therein is contained the Mystery that thou seekest, concerning the rending asunder of the veil of my Mother. Now there is an avenue of pylons (not one alone), steep after steep, carved from the solid rock of the mountain; and that rock is a substance harder than diamond, and brighter than light, and heavier than lead. In each pylon is seated a god. There seems an endless series of these pylons. And all the gods of all the nations of the earth are shown, for there are many avenues, all leading to the top of the mountain. Now I come to the top of the mountain, and the last pylon opens into a circular hall, with other pylons leading out of it, each of which is the last pylon of a great avenue; there seem to be nine such pylons. And in the centre is a shrine, a circular table, supported by marble figures of men and women, alternate white and black; they face inwards, and their buttocks are almost worn away by the kisses of those who have come to worship that supreme God, who is the single end of all these diverse religions. But the shrine itself is higher than a man may reach. But the Angel that was with me lifted me, and I saw that the edge of the altar, as I must call it, was surrounded by holy men. Each has in his right hand a weapon — one a sword, one a spear, one a thunderbolt, and so on, but each with his left hand gives the sign of silence. I wish to see what is within their ring. One of them bends forward so that I may whisper the pass-word. The Angel prompts me to whisper: “There is no god.” So they let me pass, and though there was indeed nothing visible therein, yet there was a very strange atmosphere, which I could not understand. And as I entered their ring, they bade me stand in their circle, and a weapon was given unto me. And the pass-word that I had given seems to have been whispered round from one to the other, for each one nods gravely as if in solemn acquiescence, until the last one whispers the same words in my ears. But they have a different sense. I had taken them to be a denial of the existence of God, but the man who says them to me evidently means nothing of the sort: What he does mean I cannot tell at all. He slightly emphasized the word “there”**5**. And now all is suddenly blotted out**6**, and instead appears the Angel of the Aethyr. He is all in black, burnished black scales, just edged with gold. He has vast wings, with terrible claws on the ends, and he has a fierce face, like a dragon's, and dreadful eyes that pierce one through an through. And he says: O thou that art so dull of understanding, when wilt thou begin to annihilate thyself in the mysteries of the Aethyrs? For all that thou thinkest is but thy thought; and as there is no god in the ultimate shrine, so there is no I in thine own Cosmos. They that have said this are of them that understood. And all men have misinterpreted it, even as thou didst misinterpret it. He says some more: I cannot catch it properly, but it seems to be to the effect that the true God is equally in all the shrines, and the true I in all the parts of the body and the soul. He speaks with such a terrible roaring that it is impossible to hear the words; one catches a a phrase here and there, or a glimpse of the idea. With every word he belches forth smoke, so that the whole Aethyr becomes full of it. And now I hear the Angel: Every particle of matter that forms the smoke of my breath is a religion that hath flourished among the inhabitants of the worlds. Thus are they all whirled forth in my breath. Now he is giving a demonstration of this Operation. And he says: Know thou that all the religions of all the worlds end herein, but they are only the smoke of my breath, and I am only the head of the Great Dragon that eateth up the Universe; without whom the Fifth Aethyr would be perfect, even as the first. Yet unless he pass by me, can no man come unto the perfections. And the rule is ended that hath bound thee, and this shall be thy rule: that thou shalt purify thyself, and anoint thyself with perfume; and thou shalt be in the sunlight, the day being free from clouds. And thou shalt make the Call of the Aethyr in silence. Now, then, behold how the head of the dragon is but the tail of the Aethyr! Many are they that have fought their way from mansion to mansion of the Everlasting House, and beholding me at last have returned, declaring, “Fearful is the aspect of the Mighty and Terrible One.” Happy are they that have known me for whom I am. And glory unto him that hath made a gallery of my throat for his arrow of truth, and the moon for his purity**7**. The moon waneth. The moon waneth. The moon waneth. For in that arrow is the Light of Truth that overmastereth the light of the sun, whereby she shines. The arrow is fledged with the plumes**8** of Maat, that are the plumes of Amoun, and the shaft is the phallus of Amoun, the Concealed One. And the barb**9** thereof is the star that thou sawest in the place where was No God. And of them that guarded the star, there was not found one worthy to wield the Arrow. And of them that worshipped there was not found one worthy to behold the Arrow. Yet the star that thou sawest was but the barb of the Arrow, and thou hadst not the wit to grasp the shaft, or the purity to divine the plumes. Now therefore is he blessed that is born under the sign of the Arrow**10**, and blessed is he that hath the sigil of the head of the crowned lion and the body of the Snake and the Arrow therewith**11**. Yet do thou distinguish between the upward and the downward Arrows, for the upward arrow is straitened in its flight, and it is shot by a firm hand, for Jesod is Jod Tetragrammaton**12**, and Jod is a hand, but the downward arrow is shot by the topmost point of the Jod; and that Jod is the Hermit**13**, and it is the minute point that is not extended, that is nigh unto the heart of Hadit**14**. And now it is commanded thee that thou withdraw thyself from the Vision, and on the morrow, at the appointed hour, shall it be given thee further, as thou goest upon thy way, meditating this mystery. And thou shalt summon the Scribe, and that which shall be written, shall be written. Therefore I withdraw myself, as I am commanded. The Desert Between Benshrur and Tolga. December 12, 1909, 7 - 8:12 p.m.
Now then art thou approached unto an august Arcanum; verily thou art come unto the ancient Marvel, the winged light, the Fountains of Fire, the Mystery of the Wedge. But it is not I that can reveal it, for I have never been permitted to behold it, who am but the watcher upon the threshold of the Aethyr**15**. My message is spoken, and my mission is accomplished. And I withdraw myself, covering my face with my wings, before the presence of the Angel of the Aethyr. So the Angel departed with bowed head, folding his wings across. And there is a little child in a mist of blue light; he hath golden hair, a mass of curls, and deep blue eyes. Yea, he is all golden, with a living, vivid gold. And in each hand he hath a snake; in the right hand a red, in the left a blue. And he hath red sandals, but no other garment**16**. And he sayeth: is not life a long initiation unto sorrow? And is not Isis the Lady of Sorrow? And she is my mother. Nature is her name, and she hath a twin sister Nephthys, whose name is Perfection. And Isis must be known of all, but of how few is Nephthys known! Because she is dark, therefore is she feared. But thou who hast adored her without fear, who hast made thy life an initiation into her Mystery, thou that hast neither mother nor father, nor sister nor brother, nor wife nor child, who hast made thyself lonely as the hermit crab that is in the waters of the Great Sea, behold! when the sistrons are shaken, and the trumpets blare forth the glory of Isis, at the end thereof there is silence, and thou shalt commune with Nephthys. And having known these, there are the wings of Maut the Vulture**17**. Thou mayest draw to an head the bow of thy magical will; thou mayest loose the shaft and pierce her to the heart. I am Eros**18**. Take then the bow and the quiver from my shoulders and slay me; for unless thou slay me, thou shalt not unveil the Mystery of the Aethyr. Therefore I did as he commanded; in the quiver were two arrows, one white, one black. I cannot force myself to fit an arrow to the bow. And there came a voice: It must needs be. And I said: No man can do this thing. And the voice answered, as it were an echo: Nemo hoc facere potest. Then came understanding to me, and I took forth the Arrows. The white arrow had no barb, but the black arrow was barbed like a forest of fish- hooks; it was bound round with brass, and it had been dipped in deadly poison. Then I fitted the white arrow to the string, and I shot it against the heart of Eros, and though I shot with all my force, it fell harmlessly from his side. But at that moment the black arrow was thrust through mine own heart. I am filled with fearful agony. And the child smiles, and says: Although thy shaft hath pierced me not, although the envenomed barb hath struck thee through, yet I am slain, and thou livest and triumphest, for I am thou and thou art I. With that he disappears, and the Aethyr splits with a roar as of ten thousand thunders. And behold, The Arrow! The plumes of Maat are its crown, set about the disk. It is the Ateph crown of Thoth, and there is the shaft of burning light, and beneath there is a silver wedge. I shudder and tremble at the vision, for all about it are whorls and torrents of tempestuous fire. The stars of heaven are caught in the ashes of the flame. And they are all dark. That which was a blazing sun is like a speck of ash. And in the midst the Arrow burns! I see that the crown of the Arrow is the Father of all Light, and the shaft of the Arrow is the Father of all Life, and the barb of the Arrow is the Father of all Love. For that silver wedge is like a lotus flower, and the Eye within the Ateph Crown crieth: I watch. And the Shaft crieth: I work. And the Barb crieth: I wait. And the Voice of the Aethyr echoeth: It beams. It burns. It blooms**19**. And now there cometh a strange thought; this Arrow is the source of all motion; it is infinite motion, yet it moveth not, so that there is no motion. And therefore there is no matter. This Arrow is the glance of the Eye of Shiva. But because it moveth not, the universe is not destroyed. The universe is put forth and swallowed up in the quivering of the plumes of Maat, that are the plumes of the Arrow; but those plumes quiver not**20**. And a voice comes: That which is above is not like that which is below. And another voice answers it: That which is below is not like that which is above. And a third voice answers these two: What is above and what is below? For there is the division that divideth not, and the multiplication that multiplieth not. And the One is the many**21**. Behold, this Mystery is beyond understanding, for the winged globe is the crown, and the shaft is the wisdom, and the barb is the understanding. And the Arrow is one, and thou art lost in the Mystery, who art but as a babe that is carried in the womb of its mother, that art not yet ready for the light. And the vision overcometh me. My sense is stunned; my sight is blasted; my hearing is dulled. And a voice cometh: Thou didst seek the remedy of sorrow; therefore all sorrow is thy portion. This is that which is written: “God hath laid upon him the iniquity of us all.” For as thy blood is mingled in the cup of BABALON, so is thine heart the universal heart. Yet is it bound about with the Green Serpent, the Serpent of Delight**22**. It is shown me that this heart is the heart that rejoiceth, and the serpent is the serpent of Death**22** for herein all the symbols are interchangeable, for each one containeth in itself**23** its own opposite. And this is the great Mystery of the Supernals that are beyond the Abyss. For below the Abyss, contradiction is division; but above the Abyss, contradiction is Unity. And there could be nothing true except by virtue of the contradiction that is contained in itself. Thou canst not believe how marvelous is this vision of the Arrow. And it could never be shut out, except the Lords of Vision troubled the waters of the pool, the mind of the Seer. But they send forth a wind that is a cloud of Angels, and they beat the water with their feet, and little waves splash up— they are memories. For the seer hath no head; it is expanded into the universe, a vast and silent sea, crowned with the stars of night**24**. Yet in the very midst thereof is the arrow**25**. Little images of things that were, are the foam upon the waves. And there is a contest between the Vision and the memories. I prayed unto the Lords of Vision, saying: O my Lords, take not away this wonder from my sight. And they said: It must needs be. Rejoice therefore if thou hast been permitted to behold, even for a moment, this Arrow, the austere, the august. But the vision is accomplished, and we have sent forth a great wind against thee. For thou canst not penetrate by force, who hast refused it; nor by authority, for thou hast trampled it under foot. Thou art bereft of all but understanding, O thou that art no more than a little pile of dust! And the images rise up against me and constrain me, so that the Aethyr is shut against me. Only the things of the mind and of the body are open unto me. The shew-stone is dull, for that which I see therein is but a memory. December 13, 1909. 8:15-10:10 p.m.
Bookmark this page on these social networksLIT = ♋♐☊. Luna is the mother of the Beginning: Caput Draconis, the Angel of the Aethyr: ♐ is the arrow of the main vision. Bookmark this page on these social networksCompare certain mysteries in Liber AL with the above. Bookmark this page on these social networksBAPHOMET, in which three vowels are equilibrated with five consonants. He is also BABALON after a certain mystery, and Zeus Arrhenoteleus. Hence the allusion at the end of this sentence. Bookmark this page on these social networksThe Star of the A∴ A∴. Bookmark this page on these social networksPossibly the meaning is: In the Shrine seek not for God. For He is everywhere. But in such a place as this all possible meanings are equally true. Bookmark this page on these social networksThis reception among the atheists is a necessary prelude to the vision of the Aethyr itself. Bookmark this page on these social networksLamed = Justice. Bookmark this page on these social networksAleph = the Pentagram. Bookmark this page on these social networksQuery: refers to Sir Edward Kelly, the true Adeptus Major, who founded this whole work of the Watchtowers and the Aethyrs. Bookmark this page on these social networksThis seems to refer partly to the Seer himself, but partly to Cagliostro, who was one of the incarnations of him who is now the Seer. Bookmark this page on these social networksSee the Zohar. Yesod is the Phallus of the Most High. Bookmark this page on these social networksYod = ♍. Bookmark this page on these social networksSee AL II, 6 etc. the whole passage is a mystery of the path of ♐. Bookmark this page on these social networksHe is spoken of in the earlier part as if he were himself the Angel of the Aethyr; this is the error of the Seer. Bookmark this page on these social networksi.e. He is a God. Bookmark this page on these social networksThe Mother Goddess behind even such lofty ideas as Isis and Nephthys. Bookmark this page on these social networksThis is then the Child of Atu VI, pertaining to ♊. ♊ is opposite to ♐ in the Zodiac; their symbols are therefore complementary. Bookmark this page on these social networksCf. 11th Aire. 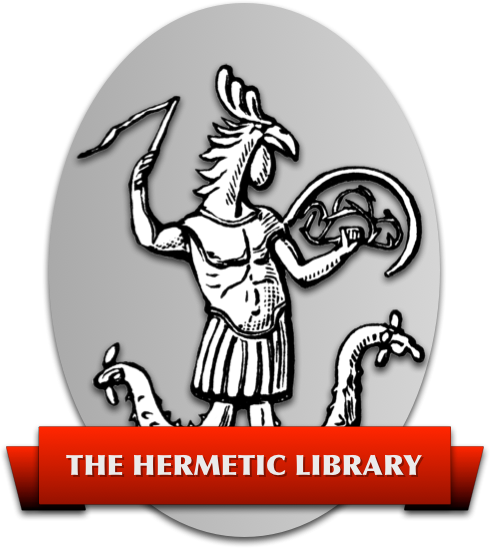 Bookmark this page on these social networksAn essential mystery of Thelema. Let it be studied well! Bookmark this page on these social networksCf. Liber LXV. Bookmark this page on these social networksThis is the most important of all the doctrines that concern the Supernals, for the student of the Mysteries. It explains the necessity of his arming himself with a new kind of logic. Bookmark this page on these social networksHis Kether is dissolved in Ain Soph. Bookmark this page on these social networksThe arrow persists for it is the direction of Energy, the Will that createth all Becoming.